Just mention the words Gorilla Glue and the cannabis community jungle drums boom like crazy, Gorilla cannabis seeds are considered the worlds strongest and stickiest ever created and Original Sensible Seeds feminised Gorilla Glue #4 variety is a force to be reckoned with. Dense dark green buds shimmer like emeralds covered in a gluey glaze like a coating of glossy enamel. Growing Gorilla Glue # 4 or GG#4 as it´s commonly referred to these days is a breeze and breeders of all levels will be able to produce the most stickiest resin coated buds that this strain is renowned for effortlessly. Potency (and these seeds should carry a potency warning) will outstrip most other strains, the dense glupey resin crystals contain THC levels hitting as much as 25 – 28% producing a happy, euphoric effect with an aftermath of heavy sedation, no wonder this is one of the top demanded cannabis strains in the entire sphere. As a medical strain GG#4 is a great way to ease pain, relax muscle tension and aid with sleep disorders an all round feel good marijuana strain that will make you feel like you have conquered the world. 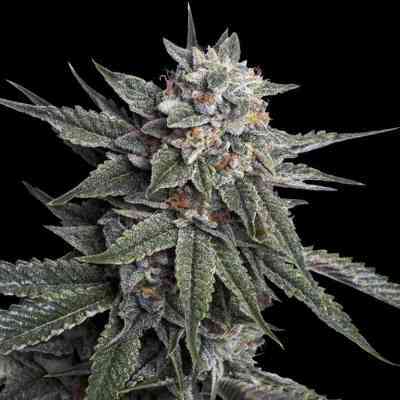 So if you´re looking for Gorilla Glue # 4 cannabis seeds in a fully feminised variety then search no more, Original Sensible Seeds have them here all ready to grow. Be prepared to glue up your trimming scissors! This great ape is certain to stir up a rumble in the jungle What was only previously available in clone form Original Sensible Seeds have brought to the masses an easy to grow feminised variety for all to get stuck on. The stickiest resin I had. Awesome one!